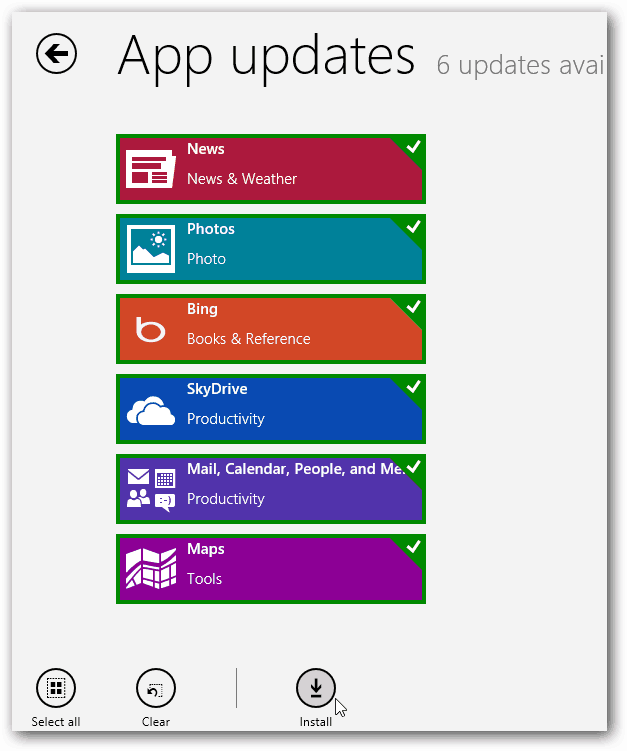 Microsoft confirmed last week that Windows 8 built-in apps would be updated before the October 26th launch. Download them for the RTM version. Last week Microsoft’s Steven Sinofsky, posted on the Building Windows 8 blog that updates for the built-in Windows 8 apps were coming. And they’re starting to roll out now for RTM users to download. The built in apps are for the new touch enabled interface (modern / metro UI). These are the essential apps like Mail, News, Maps, and Photos. In his article, Steven confirms that all of the Windows 8 built-in apps will be updated before general availability on October 26th. At the time of this writing, I found that these eight were available. 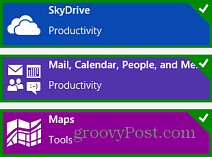 Here’s a look at one of the new features in the SkyDrive app. Previously when you launched it for the first time, you were bought straight into the folder structure. 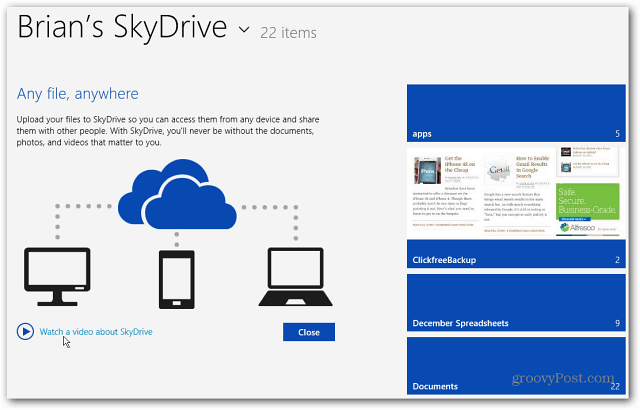 Now there’s a new first-run screen that shows a video explaining how SkyDrive works. This will be especially helpful to new users of the OS.